Yes. In today’s wedding photography, digital files have become a standard. That does not mean we do not encourage printing of digital files. In fact, we believe that the printing of the files as artwork for your home is important. While you can have your images printed at a local drugstore or major chain, we strongly recommend that you have us print your larger images. We just do a better job. Do you need a deposit before booking a wedding? Yes. We require a retainer to reserve your wedding date. We only book one wedding per day. So that means that once we book a wedding, we remove that date from our calendar. If you are considering booking us, and we hope you are, we suggest you do so as soon as possible. This is especially true for weekend and special dates. Our simple retainer allows you to reserve your date. Do you need to visit the venue prior to the wedding? No. While we sometimes attend the rehearsal, we do not need to visit any specific venue. Based on our experience we walk into a venue and see how it is on that specific day. As an example, if we did a visit prior to the wedding it may have been on the sunny day. Then the day of the wedding it is cloudy. So, everything we learned from our pre-visit will no longer apply. But let me assure you, we have enough wedding experience that it only takes a brief time to evaluate the location. Do any of your collections include the raw files? We do not offer RAW files in any of our collections. We understand there are some places on the internet that recommend couples request RAW files from their wedding photographers. Most couples we talk with have no idea what RAW files are. They were just asking because it is on their list. We do encourage couples to research information about their upcoming wedding. Most are unaware that they need special software to even view the files. No wedding photographers, that we know, offers RAW files to their clients. Absolutely. We individually edit every image in your collection. While some images may need just color and density balance, others such as close-ups may need more intensive editing and touch up. Images sent to print lab or included in the album are reviewed a second time for flaws. Yes, we do. That may be one of the things that sets us apart. There are several places that use templates to produce lower end albums. However, we have found that a more customized approach gives us a better result. Are we involved in the album design? Yes, you are. We have special online software that we upload your complete album. From there you’ll be able to review make changes comments and any design recommendations. So when it comes to your album we may do the initial layout, but you’re involved in every step of the creation. It’s all part of our custom album service. So, you get exactly what you want. Do you bring backup equipment to the wedding? This is an awesome question. Unfortunately, it may be the most important question that is rarely asked. We absolutely bring backup equipment to include backup cameras, backup flashes, backup memory cards, and about anything else. We realize that this day (your day) is too important to be left to chance. Truthfully, we tend to bring too much equipment. But it is nice to have if we ever need it. Do you have an assistant at the wedding? We may have several assistants or we may have none. 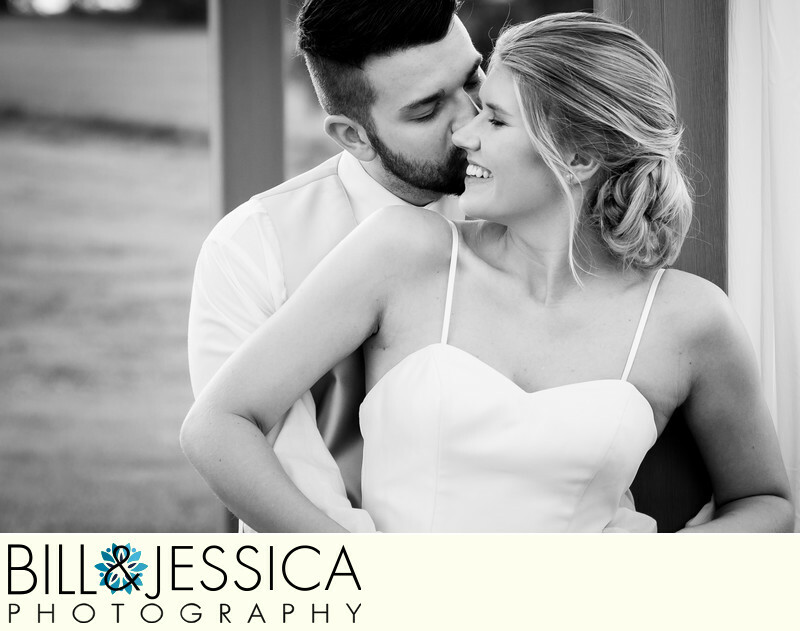 Jessica and I have enough experience and are perfectly capable of shooting a wedding by ourselves. Depending on the venue, reception location and size of the wedding, we may bring assistants to help in setting up the equipment. We evaluate the requirement to decide how many assistants are needed. The number of final images from a wedding is dependent upon several things. Including number photographers, and the number hours coverage. On average, you can expect to receive 600 to 800 images. We remove images with closed eyes, test shots, missed focus or improperly exposed images. There will also be several duplicate images, such as when the bride walks down the aisle or during the kiss. Can we upgrade our album? Absolutely. All our albums are custom designed. This gives us great flexibility as you work alongside us in the design of your final album. You will have the opportunity to change the size of the album or the number of pages or about anything else you would like.